The ideal derrick for loading and unloading work in the harbour, in the railway area, in the industrial branch etc. The top part of the crane can be rotated manually by 360° (engine cannot be retrofitted). The crane bridge can be manually moved on the included rail mock-up. 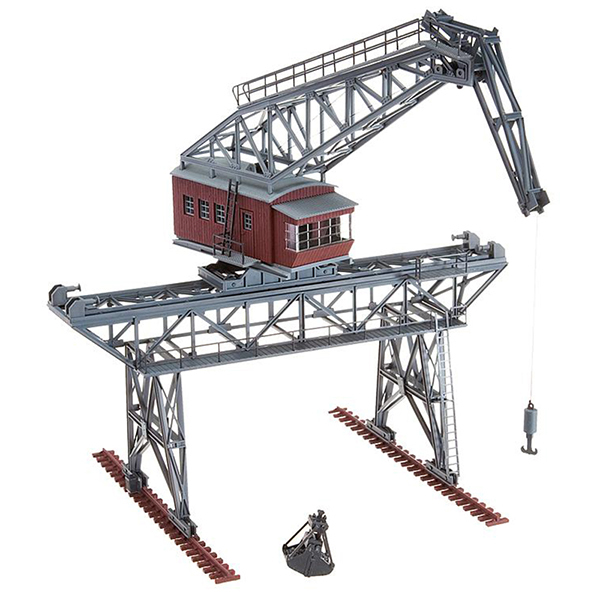 The crane is optionally equipped with a single crane hook, a heavy double hook, gripper shovel or wood grippers. 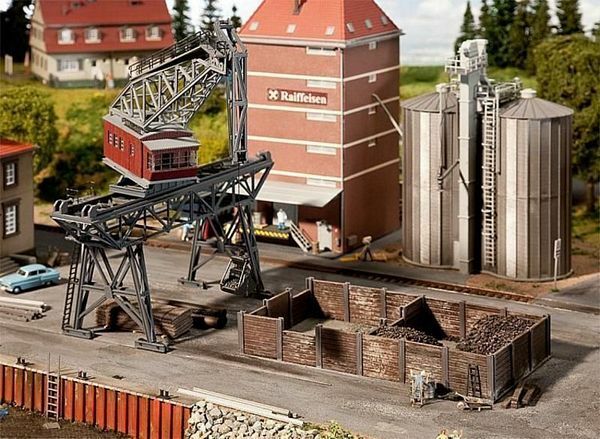 The package also contains a coal bunker, in which various coal types and other bulk materials can be stored. This way, a beautiful scene can be built. This building kit contains: 239 single parts in 5 colours, window parts and 1 construction instruction.